Which 'forms of feeling' are facilitated and which discouraged within the cultures and structures of modern state welfare? This book illuminates the social and psychic dynamics of these new public cultures of welfare, locating them in relation to our understanding of borderline states of mind in individuals, organizations and society. Drawing upon their idea of a psychoanalytic sensibility rooted in Wilfred Bion's notion of 'learning from experience', the authors aim to access the new structures of feeling now taking shape in marketized and commodified health and social care systems. 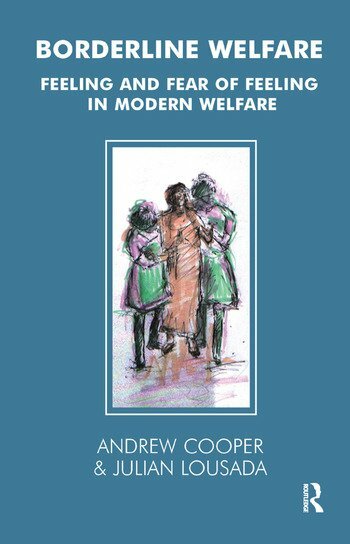 Integrating their reflections on clinical work with patients, consultancy with public sector organizations, political analysis, and the tradition of Group Relations Training, they offer a wide-ranging perspective on how contemporary social anxieties are managed within modern public welfare. Our collective struggle with fears of dependency and loss, and the demands of living and working in an interdependent 'networked' world give rise to fresh challenges to our ability to maintain depth of emotional engagements in welfare settings. Part of the Tavistock Clinic Series.